History - Those who were born from one human parent and one demon parent are made a half-demon, or Hanyou, and are never fully human. These individuals normally appear like any other human, but possess the unique ability to alter their bodies and transform into their more demonic state, their true forms. They are shunned from society, being seen as abominations, and therefore keep their true identities secret. Often times, these individuals can feel isolated, because of what they are, and may not be completely trusting of others. Kekkei Genkai - Those of the Hanyou Clan possess the ability to alter their bodies into their demonic forms, allowing them an array of abilities only they can use. Description – While normal humans acquire sustenance from food and drink, those born a Hanyou will be constantly hungry, no matter how much they eat. The only way for this hunger to be quenched is by consuming blood. Although human blood works best, most Hanyou try not to kill others in order to survive. Unless they can find a trusted person to willingly wound oneself to provide the blood source, a Hanyou must feed off of animals. When wounded or weakened, the consumption of blood will restore lost stamina and slowly heal minor injuries, or at least keep larger ones from becoming any worse until further treatment can be given. Description –This technique allows the user to detach their horns while in their True Form, or Feral Form. The horns can then be used as melee weapons or thrown as projectiles, which will return to the user in a boomerang–like effect should they miss. The horns are only mildly more effective than normal weapons. As projectiles, they can be easily dodged or deflected, and as melee weapons, they will break if striking anything the size of a katana or greater. Description – A partial transformation between a Hanyou’s normal and true forms, this technique will cause the user to grow only their tail, which can then be hardened, causing it to form a razor edge. They may then use the tail as a sharpened whip to lash out and strike their enemies, or wrap around and cut through them. This technique is naturally available when in one's true form. Description –This technique allows the user to detach their tail while in their True Form, Feral Form, or while utilizing Shippo Kasei. The tail can then be used as a whip, its razor edge able to severely cut opponents. Description – A partial transformation between a Hanyou’s normal and true forms, this technique will alter only the hands, giving the fingers a claw–like appearance. These claws can be used to add extra damage to close range taijutsu strikes. This technique is naturally available when in one's true form. Description – Hanyous have different chakra types, allowing them to form condensed chakra balls in their hand. By condensing chakra into their palm, a small sphere of chakra will appear that can be thrown at an opponent. These chakra orbs will explode on contact, with a three meter blast radius. Each sphere has the same power as an exploding pouch. Description – While utilizing Tsume Sutoraiku, or while in one’s True Form, the user may concentrate chakra into their finger tips and cause their claws to extend up to 5 meters, at a high velocity, that will allow it to pierce weak armor. This technique can be used to surprise an enemy by turning their previously close range ability into a mid–ranged attack. Description – After learning this jutsu, a Hanyou can bring their wings out even when not in their true form, allowing them to fly. The wings are weak, and can break like any other part of the body, but in addition, pain is felt more there, due to lack of conditioning to pain. Description – When in one’s true form, or while utilizing Hane Kasei, the user may make a hand sign and curl their wings around in front of them. The wings will become boney and resilient to attacks, able to defend against most B–Rank jutsu. Can also block basic weapons. Description – While utilizing Shippo Kasei, or while in one's True Form, the user may concentrate chakra into their feet and spin at a very high speed, while coiling their tail around their body. The rapid swirling motion of the razor–like edge of the tail will cut through anything within its range, leaving behind moderate to serious slashing wounds, and can also protect against projectiles. Description – Hanyous possess the unique ability to release their own inner power to alter their bodies into their true form. When initiated, the user will grow curved horns on her head, a whip–like tail, claws on her hands, black, leathery wings, and their canines will elongate into fangs. They can use their claws as close–range weapons, and tail to lash out and hold an opponent. The wings can be used to fly, but only in short bursts and cannot usually sustain flight for long periods of time. Description – When a Hanyou enters their true form, their chakra type changes, allowing them to form condensed chakra balls in their hand. User must be in their true form, and will fly up to about fifteen meters into the air and hold their arms out at their side, concentrating chakra into their palms. Fist size orbs of chakra will appear in each hand and the user will then spin rapidly in the air, throwing the chakra orbs. As each orb is tossed, another will reappear in the user's palm, allowing them to continue throwing more and more. The spinning motion of the user will cause the chakra orbs to go in all directions down to the ground below, and they will explode on contact with a three meter blast radius, making the attack rather difficult to dodge. Each sphere has the same power as an exploding tag. Description – Contrary to its name, Tsuchi Tsumeato does not utilize the earth element. Hanyous have different chakra types and the user may concentrate this chakra into their claws at very high levels and give it a cutting effect, then release it in an instant. By slashing their hands forward, a burst of cutting chakra will be released from each fingertip that will leave behind five deep cuts, or scars, in the earth as it the attack travels towards its target, from where the technique gets its name. Because the attacks are made of pure chakra, a physical weapon will not be able to block them and they must be dodged. 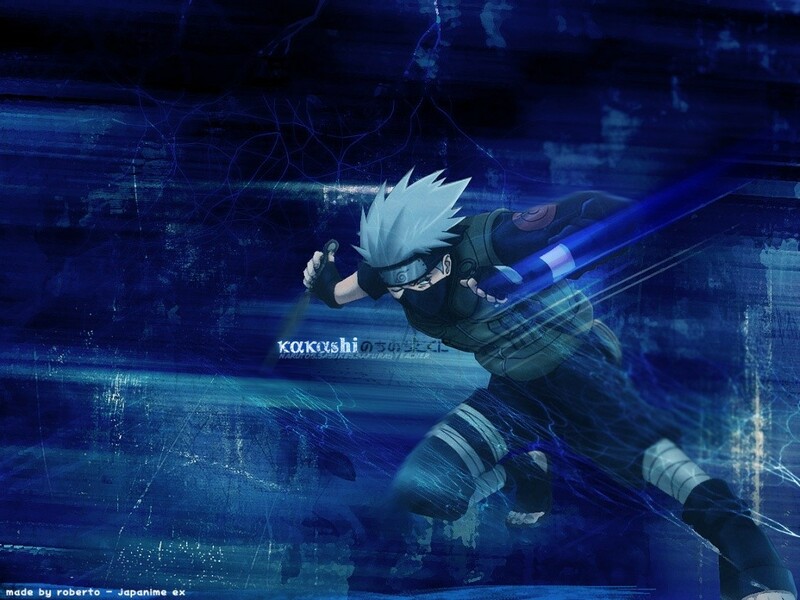 It can be rather difficult to evade all five chakra slashes, especially for an opponent who is not very fast. Description – A more advanced form of Shinsei Katachi. In this state, the user will grow curved horns on their head, a whip–like tail, claws on their hands, black leathery wings, and their canines will elongate into fangs, just as in their normal True Form, but their eyes will also glow red. In this state they are much more demonic, more feral, and become unable to determine friend from foe. Their human side all but ceases to exist. Their skin will become coated with a black substance secreted from their pores. This is actually their blood, turned black because of the change in chakra type acquired from the transformation. This blood, which is acidic to anyone other than the being it came from, can harden and offer an increased defense against attacks, although can be broken through by a power of 100 or greater, and can also be manipulated to form hardened spines all across the user's body. These spines can offer a damaging defense against attackers, and can also be broken off and thrown as projectiles, or used as melee weapons. The blood is able to eat away at flesh at a moderate pace, but can be washed off, and will cause pain to the user's veins if it gets into their own bloodstream. The user's claws also double in length and in sharpness, making hand signs nearly impossible. Their fangs are also doubled in size and are able to secrete the user's poisonous blood.